Right now I am one day behind the rest of you on The Summer Potato Hack, which Tim Steele setup for August 14-18. Today is Day 3 for me and I wanted to share that Day 2 this time was no big deal. For me, Day 2 has always been the toughest day. Not this year. Two reasons come to mind. First, my potato hacking skills are getting better. Second, it is summer. I wasn’t planning on doing another multi-day Potato Hack anytime soon because I just completed a 4-day hack in early June. However, once I saw the dates, I knew this would be the best chance to get in another hack before fall and winter arrives. You see Potato Hacking in harder to do in the winter. As with any diet where you are experiencing a significant drop in calories, you can start to feel cold. It is easier to not feel cold when it is warm outside. Also, the days are shorter and there is less sun. So Mother Nature is working against your mood at the same time you are eating one potato after another for days. Potato Hacking now and in June was much easier than my experiences in October or November. 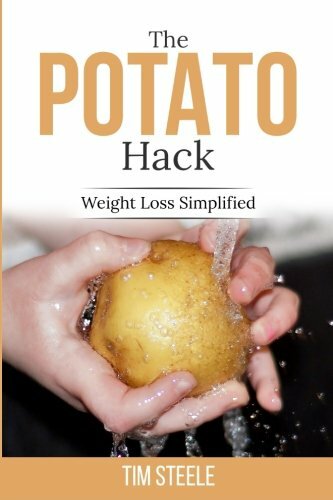 If you are interested in doing a Potato Hack but haven’t started yet, I encourage you to get started before fall arrives. It would make it easier. Another tip I want to share is to study the space you have available inside your refrigerator and then head to a container store. Purchase a tub that will hold enough cooked potatoes for a day. Mine looks something like this one. It will hold 5 – 6 pounds of potatoes and at a glance, I can how many are left inside the tub. Having a dedicated potato tub has made my life simpler. Great tips, MAS. I have found over the years that the two best times for me are at the tail end of winter and the end of summer. Last year I did a full 30 days throughout September, which was a big mistake because my garden was overflowing with fresh veggies. This year I thought a week in August would be better, and it has been. I’m still tempted by veggies from the garden, but they won’t go to waste with only a week’s neglect. Another good time would be October. By then my garden has been put to rest, and I have piles and piles of freshly dug spuds in my garage. Early spring seems a “natural” time to do a potato hack as this is when people would be out of any semblance of fresh food and eating nothing but stored tubers, grains, etc… Late winter/early spring has probably been a time of hunger since time immemorial.